Brownie points if you get my title reference! 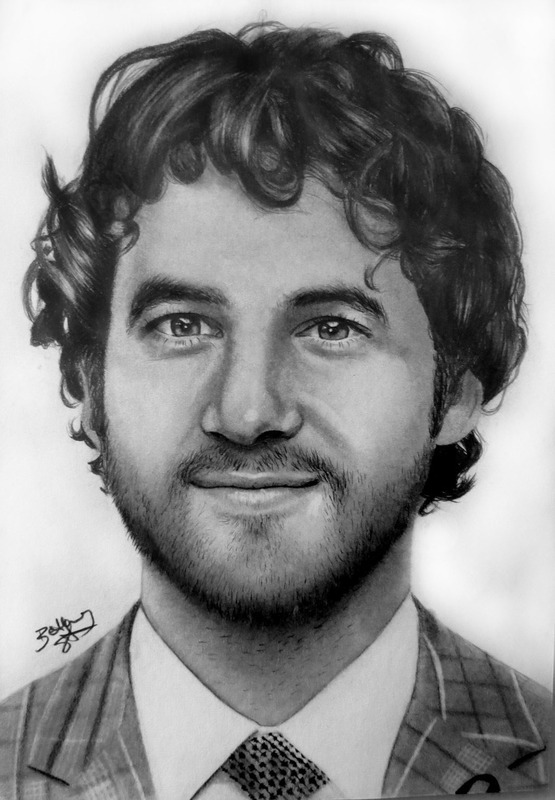 In a follow-up to my previous post, I have finally finished my Darren Criss drawing. As I said in my last post I was determined to get his hair looking better than I normally do seeing as I am not the best at drawing hair. Hair is supposedly the toughest part of a portrait to draw so at least I’m not struggling with the easy thing but still. I hate not being able to draw hair well. So I put in more hours, and while I do think it paid off, I am still not satisfied with the outcome. I will forever be in awe of my fellow deviantARTists who manage to draw such clean and crisp lines making their hair look very realistic. Please let me know what you think, I’d love to hear. Posted in Art and tagged art, Darren Criss, Glee, Portrait. Bookmark the permalink. Apologies for my lack of posts lately but I have actually been working on a new drawing which has taken up a lot of my free time. 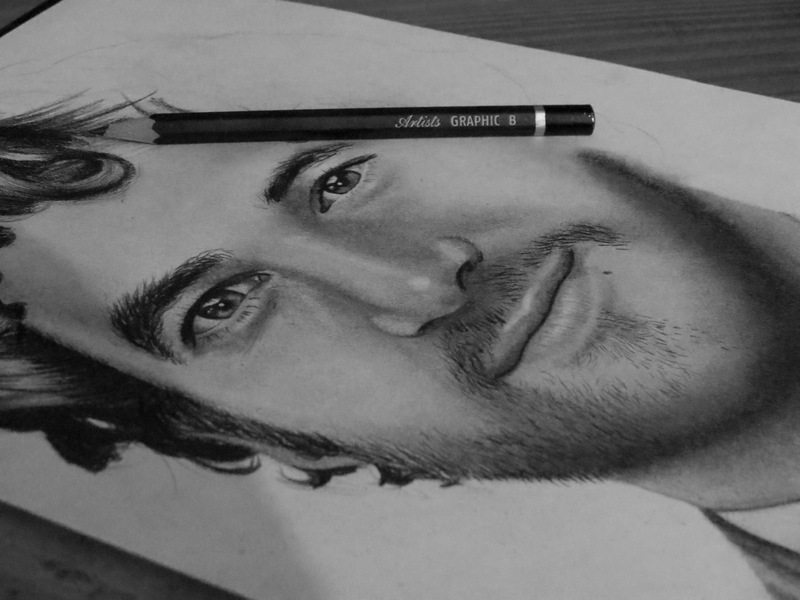 The only problem with drawing Darren Criss, and trying to draw his hair properly, is he has black curly hair. From my experience drawing, I find light coloured, straight hair the easiest to draw, so I not only have the difficult task of drawing curly hair, it’s also dark so this should be interesting. Please let me know what you think so far, keeping in mind it is only half-finished. Hopefully I will have the completed drawing up within a week or so. Posted in Art and tagged art, Darren Criss, drawing, Glee. Bookmark the permalink. I woke up this morning to the terrible news of the death of Cory Monteith. I am not normally one to cry when I hear of celebrity deaths but I was genuinely in tears all day thinking about what a tragic loss this is. Any who has been following me for a while on deviantART or twitter can probably guess that I am a huge fan of Glee. I have watched it from the very first episode and I have continued watching it ever since. 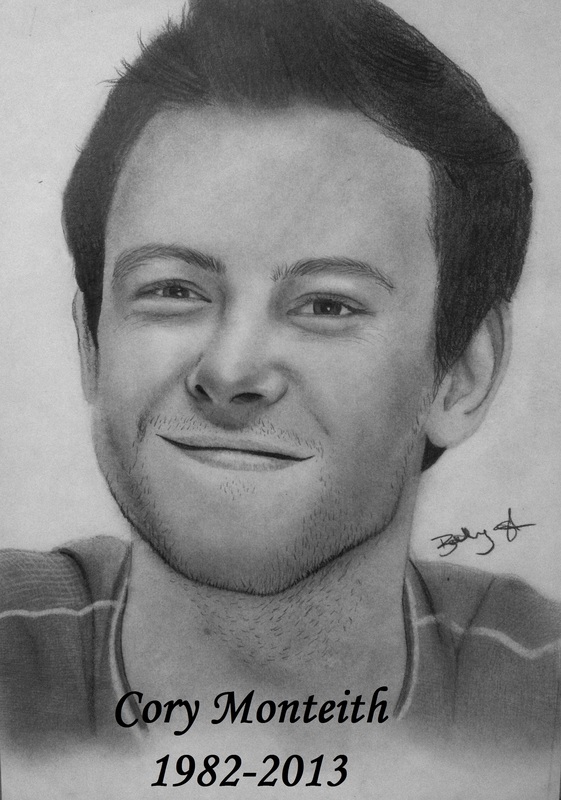 I cannot even begin to express how sad I am to learn of Cory’s passing so I spent the day drawing this picture. Alas I yet again have no scanner so this picture doesn’t do it much justice but oh well. My thoughts are going out to Cory’s family and friends, to all the cast of Glee and of course his girlfriend Lea Michele. It still doesn’t seem real to me for some reason. I still get overwhelmed every time I look at the news websites online. It just won’t sink in. RIP Cory, only the good die young. Posted in Celebrities, Television and tagged Cory Monteith, Glee. Bookmark the permalink. 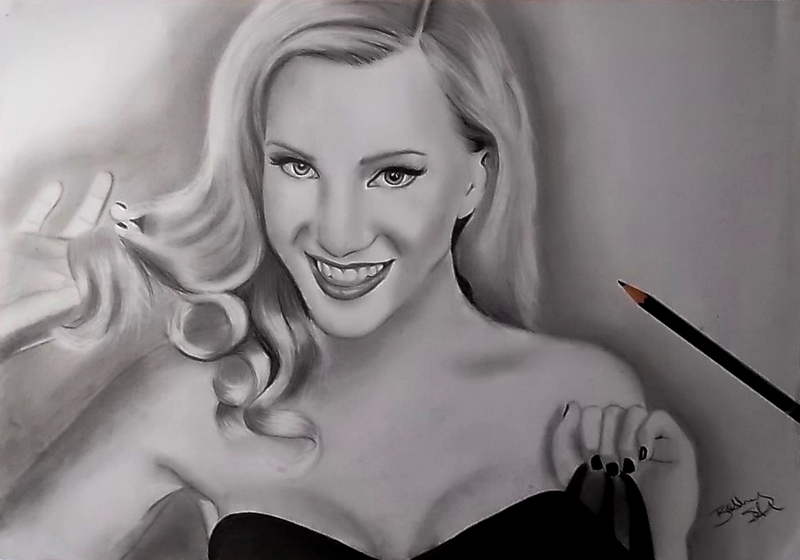 So someone on youtube suggested that I should draw Heather Morris/Brittany S. Pierce (to go by her charcter on Glee) next. As it so happens I do love Glee (yes I’ll freely admit it), and Heather Morris is such a beautiful lady so I was more than happy to draw her. Then I went on to my deviantART accound and realised the last time I actually drew a picture was January 27th…what? I cannot believe it’s been 3 months since I last did a drawing. This further encouraged me to draw Heather Morris. Also if you have any suggestions as to what I should draw/paint next let me know, I’m always looking for new ideas. Posted in Art, Youtube and tagged art, Brittany S. Pierce, drawing, Glee, Heather Morris. Bookmark the permalink. Just wanted to share a drawing I did a while ago of Darren Criss as his character Blaine Anderson from the television series Glee. Below is the video showing you the drawing process. Posted in Art, Television and tagged art, Blaine, Darren Criss, drawing, Glee. Bookmark the permalink.